This was a quick study that I did some time ago. Since I’m working on something else right now, I’m not able to post that painting until it’s finished. Pastels go through an ugly stage that I don’t share with anyone. My husband used to pass by my works in progress and think the paintings were horrible, but then would be surprised when he saw the finished product. He would be seeing the first layer of pastels. Although all the layers contribute to the final painting, they sort of disappear eventually – or visually mix together. So the first layer is usually the undertones, the shadows and might not even be the right shape yet. It’s all very scratchy and scrawly. It’s a different story when using an underpainting though and one of these days, when I have a chance, I’ll post that process. Hopefully the new painting will have the same energy that this does. However, there won’t be any bouganvillas in it, but plenty of other flowers. For the 2012 Sketchbook Project (I’ve put a link over there on the right for ArtHouse Coop) I wanted to do something different. It’s a great way to try out new things and experiment. 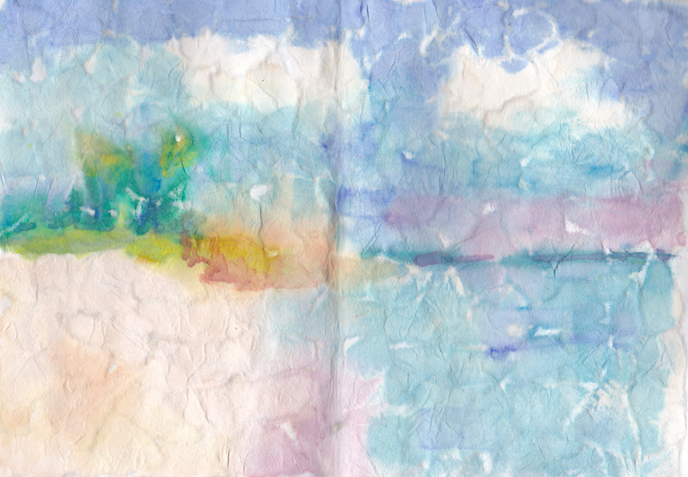 There is a large portfolio in my supply closet with assorted handmade papers so it seemed a good place to start. 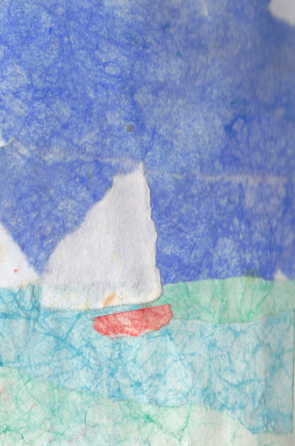 Some of the papers were crinkled up and colored with water colors – sort of dyed. The colors made a small palette of purple, green, blue and orange. Then of course there was white paper. 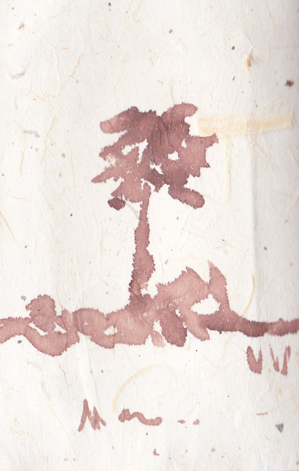 One piece of paper was hand made mango paper – appropriate for my part of the world. My decision was that the sketchbook would be all about paper as a medium. 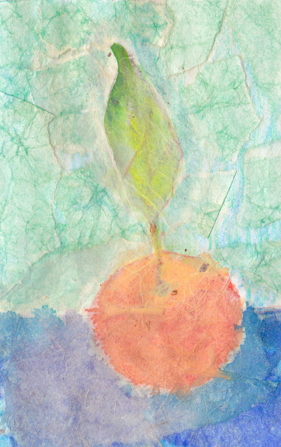 Although collage is not one of my mediums – it seemed the right thing to do. Can’t wait to figure out what to put into the 2013 sketchbook. 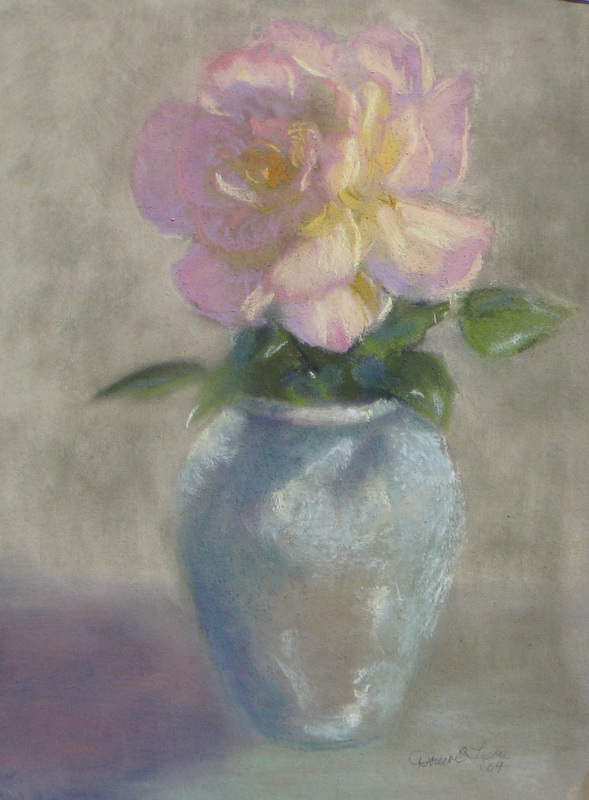 Hobe Sound Rose – Pastel on paper – no camera involved (except to photograph the painting, that is) – a rose that I grew and a pot that I made. 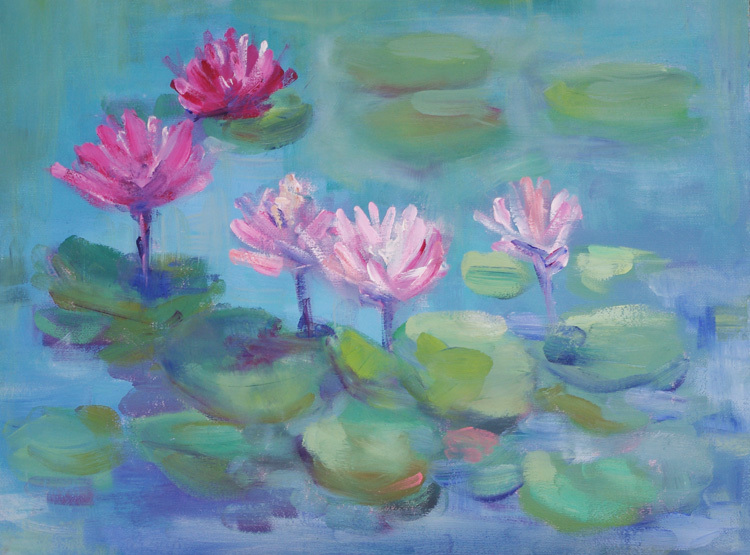 The inspiration to paint can come from so many places……….. and yet there are some days you say to yourself, why paint? Sometimes my inspiration is to just improve myself. Most of the time I’m overwhelmed with ideas and objects that inspire me and then the thought runs through my head that I might be insane. But that’s a whole nuther topic. How cool is that? We’re still discussing this today in 2012, yet some people have never even been made aware of it. It bothers me that there are so many people that judge good art by how close to a photograph the painting it is. Not to mention the hyperrealist or photorealist painters that have the goal of painstakingly reproducing a photograph. As if the photograph were the standard that paintings had to live up to. Don’t misunderstand and think that I’m not in favor of photography because I love photography! It seems that over time artistic goals have sometimes become distorted. 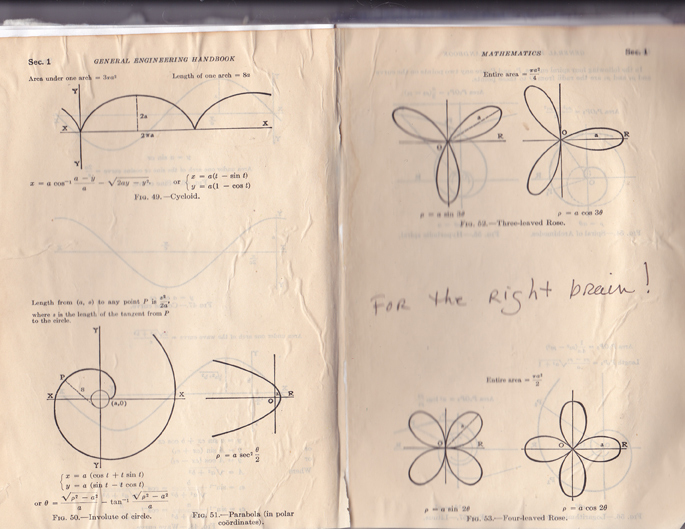 Mr. Loomis was directing this to the art student (in the 1940’s!!!) and comparing original illustration to photography which he said couldn’t provide the expressiveness that the artist could. He doesn’t throw photography out the window but at that time guides the artist to understand they aren’t being replaced by a camera. Even though we now have the means to be more expressive with digital applications, the camera still can’t produce the surface and line quality nor the atmosphere and character that original art can. So that is why you paint – to go beyond the photograph with your personal expression of the poetic landscape (or what ever your thing is). One good reason, anyway. Sometimes it seems that things and/or thoughts are presented to you by some unseen spirit and you can’t help but think it must be meaningful. Kismet. Destiny. Some amazing global consciousness! Why else would all of these things come together at the same time? Yes, I’m looking for answers and finding the ones that suit me but so are many other people which is validation enough for me. Because after all, I do need to justify my obsession and insanity. The practice of setting up a small still life and limiting the time you spend on it has been around for a long time and it’s a practice that I enjoy. Some of the most inspiring subjects are in the produce department and I find myself there testing the bartlet pears quite often. 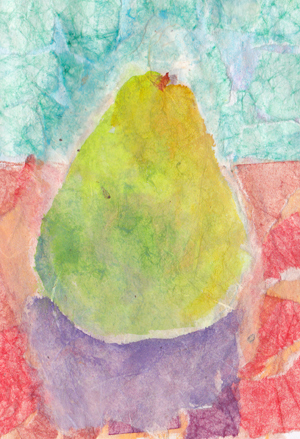 Most people might be looking for softness, ripeness, but my tests are: can the pear can stand on it’s own, is it a shapely pear, and of course, how good is the color? Once they’re home with me, I set them up with dramatic lighting, as if they are on stage! With this painting my goals were to improve my brush work and to keep the colors light and appealing. Using a bristle flat brush is greatly improving my brush work since it holds more paint and the marks are showing how luscious the paint is. 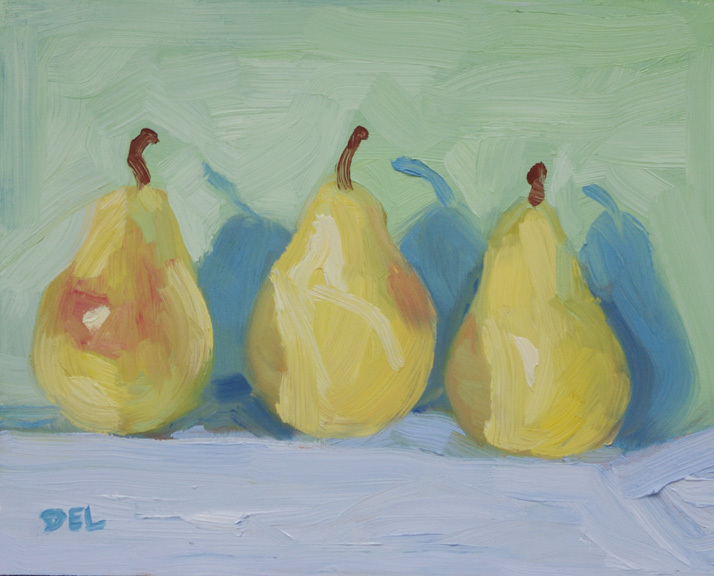 The pears were juicy and luscious, so they should be depicted that way. My palette is a simple rainbow palette that I’ve been using for years but I’ve lightened things up now, reminding myself to stay in the higher value range. This guy needed his portrait painted and didn’t have anything to do with that other group. Thanks to the sale a Jay Mar, I’m stocked up on canvas now and will be painting more still lifes in the near future. My collection of thrift store finds will be a future series of paintings and great composition practice. Feel free to give me feedback or ask any questions in the comments section and thanks for looking! Since I’ve been in the process of regrouping and trying to get back to normal, what ever that is, I’ve taken the opportunity, as I usually do, to study and improve my technique. This usually applies to my brushwork and color mixing in oils. 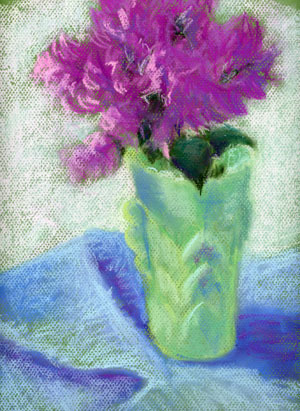 Not that I don’t work on my pastel technique also, but there seems to be less need for improvement and I usually approach pastels with a more adventurous attitude and will experiment more, possibly using new products. With oil I’ve gotten in the habit of using the painting knife too much and sort of lost touch with my brush work. 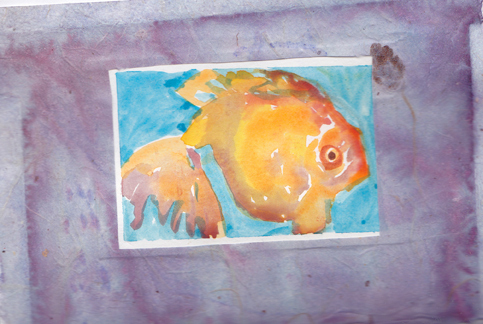 Therefor I’ve been restricting the use of the knife to color mixing only! 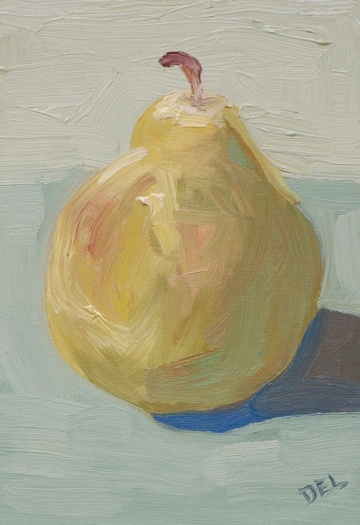 The best way to study, for me anyway, is to do small still lifes and small landscape studies. My plan is to begin posting these and try not to get too hung up on how finished they look. Since I haven’t photographed any of these paintings yet, but will soon, I’ll just put up something here that inspires me. This was painted on location in White City, FL. A bit of news that I can share is that I’ve been juried in to the Women Painters of the Southeast recently and look forward to participating in that group in the future. Go check them out, I’m in great company.